Founded in 1969, Flygprestanda has a unique track record and industry experience in providing complete take-off / landing solutions for daily aircraft operations. 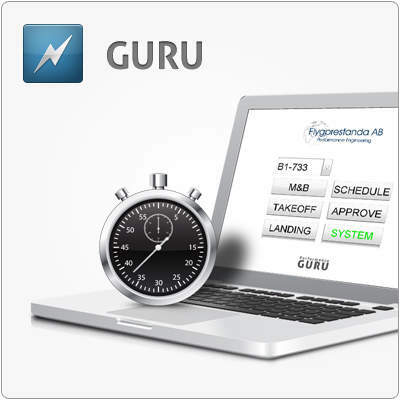 Services include the Guru2 EFB performance application with mass and balance calculations, as well as a complete airport database, which includes obstacle data, engine failure, and drift down processes. Using Flygprestanda’s safe and accurate performance services improves operational efficiency, increases flexibility, and maximises utility. Flygprestanda offers optimised solutions for every aerospace customer by implementing tail-specific performance for each individual aircraft in a fleet and ensuring the use of accurate data for any given flight. Flygprestanda is able to work with clients to achieve their individual requirements and answer questions surrounding the services, applicability, and compliance. Our company also offers price quotations, samples, and demos as part of our services. The Guru2 combines your aircraft flight manual (AFM) or SCAP with our proprietary airport database, allowing for both offline and online take-off and landing calculations, with an optional mass and balance feature. 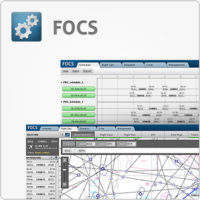 The application comes complete with internet-based analysis for redundancy and planning. The Guru2 also includes a proprietary Back Office administrative tool. The Guru2 is available on iPads and any Windows tablet running Windows 10. Each customer can choose their preferred platform or use a mix. Limitations apply and a full app demo is available on request. The Internet Airport Analysis service allows for on-demand airport analysis to be made through a web browser. 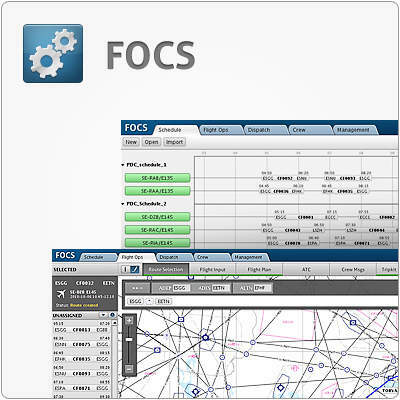 Take-off analyses are downloaded as PDFs with weights and speeds presented in tabulated formats configured for your needs. The service comes as a pay-per-analysis solution, or as an unlimited monthly subscription. The internet service features a data archive where all downloaded analyses are saved for 60 days. The unlimited service is included in Guru2 and full samples are available if needed. The Route Performance Manual (RPM) contains your selection of airport analyses as a PDF or as a hard copy and are kept under a monthly revision service. The RPM also includes access to our pay-per-analysis internet service. The Flygprestanda proprietary airport database comes with all Flygprestanda services and is also available for export in various formats. The database contains official aeronautical information publication (AIP) information for airports worldwide and includes obstacle information as well as engine failure take-off procedures. The airport database is made and kept in-house, while it is maintained by our experienced airport analysts, giving us the benefit of full data control. Please send in an enquiry and we will help you as quickly as possible. Over the years, Flygprestanda has acquired exceptional industry experience. This experience has been meticulously built into our proprietary algorithms, systems, and routines, and transferred to the members of our talented staff. By offering proprietary software and customer-configured solutions, each customer will have a product adapted to their unique needs. The various Flygprestanda services are currently in use by business jet, government, military, commercial, and cargo operators. Flygprestanda caters to any sized operator located anywhere in the world. Our many years of experience and the proprietary nature of our products have had us working with virtually any aircraft type available. Founded and located in Malmö, Sweden, Flygprestanda Engineers, Developers, Support, Sales and Management work closely towards one common goal – to be the industry leader in performance engineering. 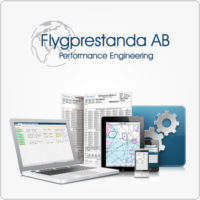 Flygprestanda is an ISO9001-certified supplier compliant with all relevant EASA and FAA regulations.